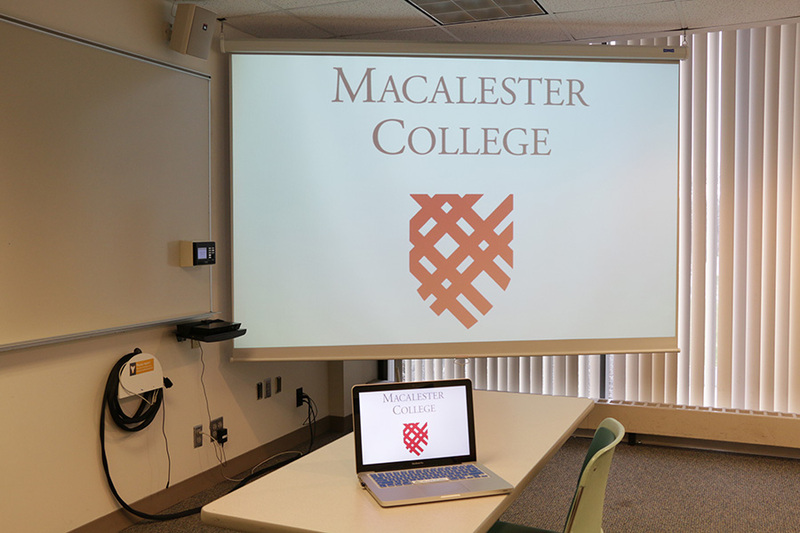 Macalester College is a private, liberal arts college located in St. Paul, MN with around 2000 students. 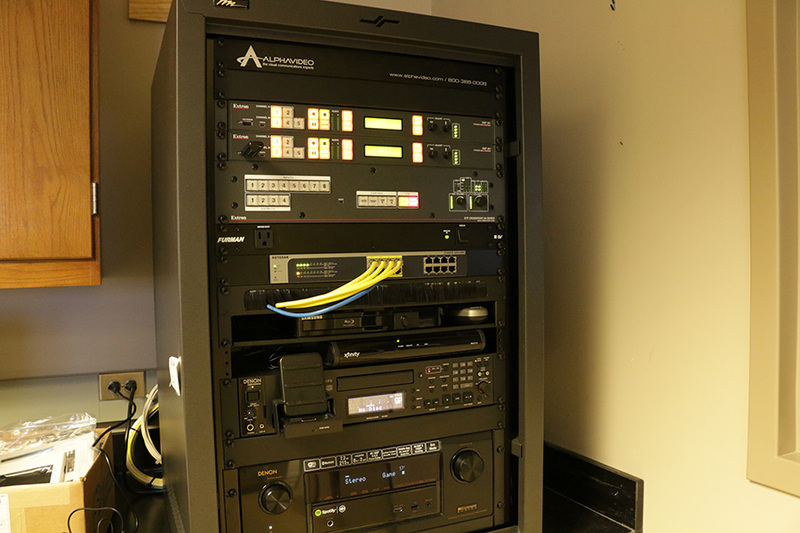 For the past several years, the Media Services Department at the college has been working with Alpha Video to systemically upgrade the classrooms and meeting spaces from analog to digital HD video. Most educational institutions face the same challenge as Macalester. They want to install new classroom technology during the summer months when the number of students is reduced. Commenting on the design and installation process, Henry Gil, Alpha Video’s Higher Education Account Executive, explained, “To effectively plan for the summer installations, we start working with Brian and his team in January. We’ll tour the classrooms that need to be upgraded, spot any challenges, discuss the design and then provide a proposal for the entire project. After Brian gets funding approved in the spring, we then have time to order the products, assign a product manager and allocate technicians so we are ready to go as soon as the spring semester is completed. Consistent communication throughout this process has been crucial to successfully installing the upgrades." A standard upgraded classroom at Macalester now includes the following: ceiling mounted projector with optional wireless internet connection, Da-Lite screen, Sony Blu-ray player mounted on a small shelf, cabling connections for HDMI/VGA/audio, two speakers and an Extron TLP 350MV control panel with 3.5” touchscreen, eight backlit buttons and volume knob. The Extron control panel, which is programmed by Alpha Video, is the key to making the system easy to use. 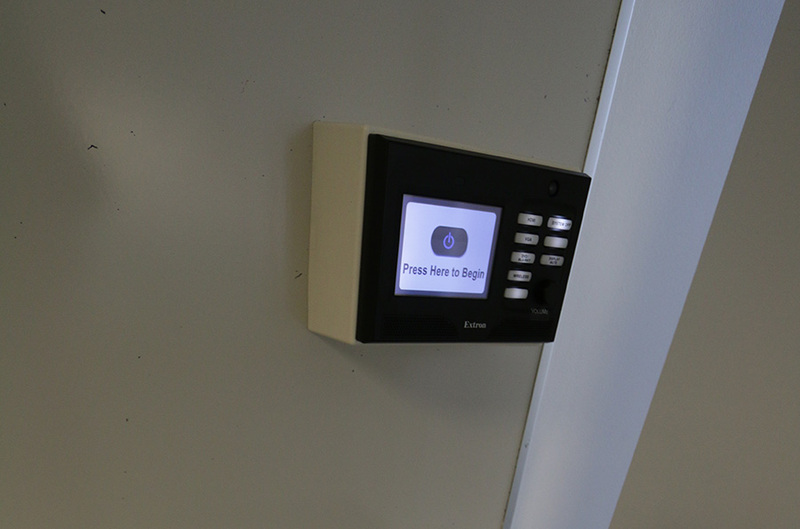 A few of classrooms at Macalester required customized analog-to-digital upgrades. One of them that was recently upgraded by Alpha Video is the Neuroscience Laboratory Training room. The Neuroscience Department at Macalester has a national reputation as one of the best undergraduate programs in the country. The large science classroom has two small adjacent observation rooms. To observe and record the actions of animals in the observation rooms behind closed doors, Alpha Video ceiling-mounted a Vaddio PTZ RoboSHOT camera with 12x zoom and native HD resolution along with a Audix 6” gooseneck microphone. An Extron SMP351 Streaming Media Processor allows the observation video to be simultaneously recorded on a 400GB solid state drive and viewed on two Sharp 70” displays installed in the science classroom. 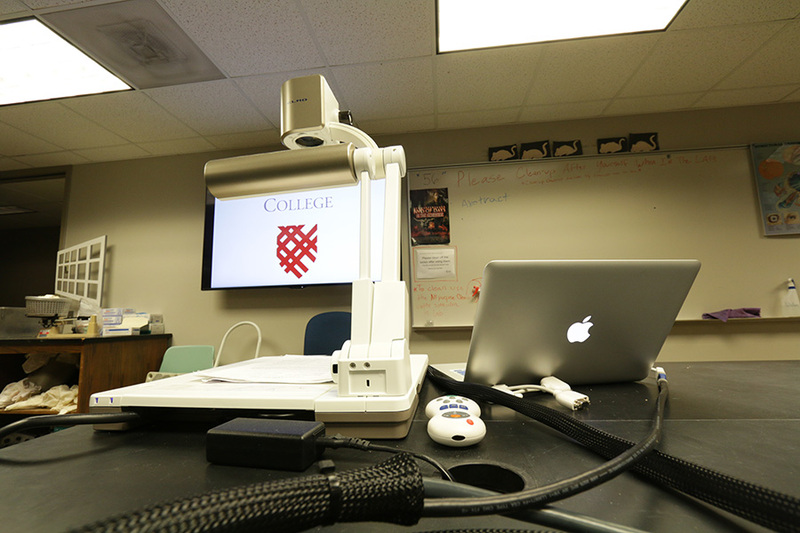 To make the system extremely easy to use, Alpha Video designed it so an Apple iPad can be used to wirelessly control the technology and switch the inputs to the 70” displays. It has been a really wonderful experience working with Alpha Video to get into the classroom at the beginning of June to start the installations and then have the entire project completed by the end of June. The whole process has been very efficient and effective. It’s been great!